The place at the center of the city, near market. The facilities is good. Clean. Good location, helpful staff, perfect one night stay. Sweet deal! We were on a tight budget so Tinidee allowed us to stay on track, clean room with a HOT shower for once and excellent facilities right next door (hot tub, pool, etc at the hotel). 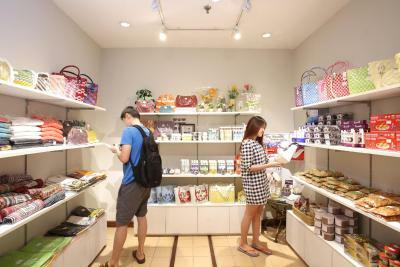 Short walk away from good Thai restaurants, 711 etc. Excellent little one night break from the typical hostel. Very comfortable bed, quiet and black out curtains. Having the main hotel's room service pool, gym and hot spring water jacuzzi facilities available to the budget inn patrons in the best reason to use this hotel. The room was clean, had smoke alarms and featured two English movie channels and BBC which is a rarity in Thai budget hotels. Mattress and pillows were only fairly hard, also a rarity as sometimes they are like concrete. we are stayed save zone. we can use fitness hot-spring swimming pool at big building zone. Staff very kindness. Close to cheap, delicious Thai restaurants and you can use the facilities (gym, pool) at the hotel next door. nice breakfast in the Tinidee next to Tinidee Inn, possible to use pool and spa in Tinidee. 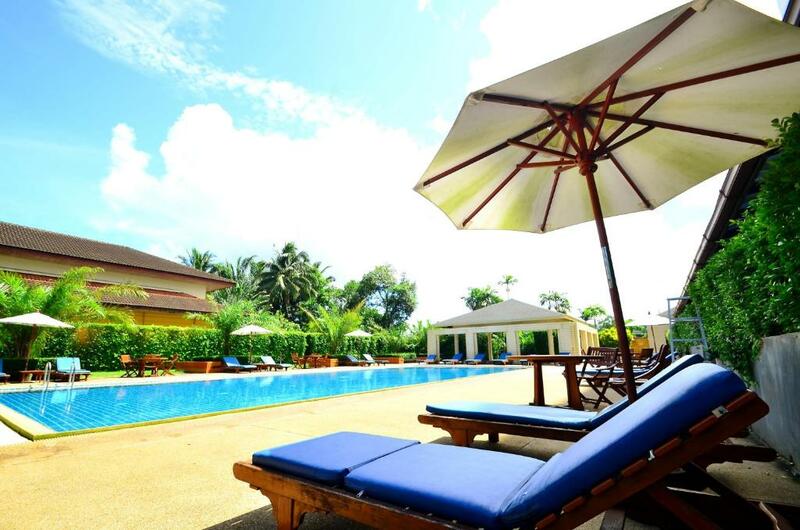 Tinidee Inn This rating is a reflection of how the property compares to the industry standard when it comes to price, facilities and services available. It's based on a self-evaluation by the property. Use this rating to help choose your stay! 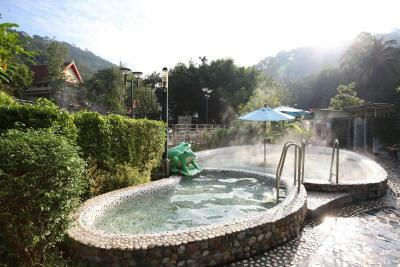 The hotel is a 10-minute ride to Hot Springs and Raksawarin Public Park. Ranong Airport is a 30-minute drive away. 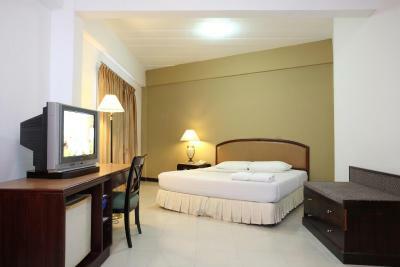 Each air-conditioned room features cable TV, fridge and private bathroom with shower facilities. Staff at the 24-hour front desk can attend to guests’ requests. A fitness center and laundry services are available. Travel arrangements can be made at the tour desk. A shuttle service is provided at a fee. 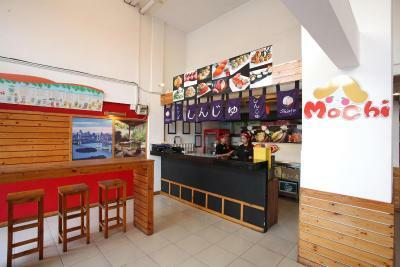 Tinidee restaurant serves a wide range of Thai cuisine. When would you like to stay at Tinidee Inn? 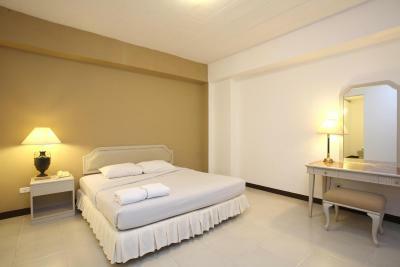 Air-conditioned room features cable TV, fridge and private bathroom with shower facilities. House Rules Tinidee Inn takes special requests – add in the next step! Tinidee Inn accepts these cards and reserves the right to temporarily hold an amount prior to arrival. We new it was a motel sort of place, and we only booked it as a pit-stop in transit, however it was still worse than we expected. The was rock hard (literally like a board), it wasn’t very clean and and just in a bit of a state of disrepair really. The food was really good and really reasonable (but it was held in the much nicer branch of the hotel just across the way so I can’t really attribute it to THIS hotel...) and you have use of the facilities in said nicer hotel. The room in the Inn was quite depressing. Need serious renovations and much better bed sheets and towels which were very very tired. Staff at both the Inn and the Hotel are not precessional in servicing guests and most are unfriendly and can’t even answer basic questions. I was really not impressed with most of the staff. Use of the next door hotel pool facilities though the hot springs manager does not know people most love to use hot springs early in the morning so this place has an empty hot springs in the mornings. 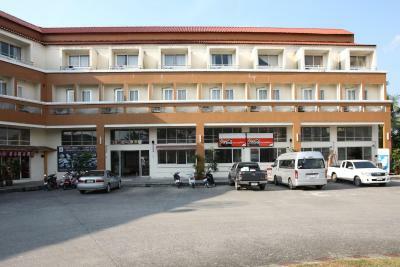 Excellent location and fantastic value for money as you use the main hotels facilities. When I had the buffet dinner at night I felt a little uncomfortable because the staff were watching over me and fussing too much. This is a great hotel because you can book the cheaper rooms but still use the facilities in the bigger hotel. 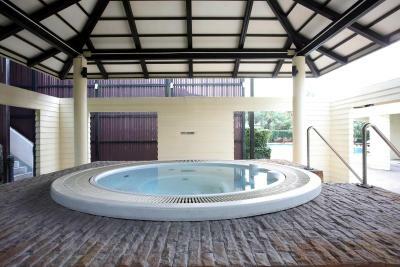 It has a gym, sauna, a lovely swimming pool, a lovely buffet breakfast and you can done for 199 baht buffet in the evening. It has 2 internet computers to use free of charge and also they organise a trip to the hot spring for free, great value for money. Overall it is fine . I could not complain. Clean and comfortable. Good value. The buffet. Vegetables were cold, no chips and not deserts. Breakfast advertised as American. No bacon, beans or waffles. When you ordered a beer or a coffee it seemed to take a good while to arrive.Really enjoyable lovely pool and hot spring waters. No rushing to find a sunbed like other hotels. You could not fault the food or the price. They even grated me some ginger for my cup of tea. Room is older style, air-con a bit noisy, but overall good value.